Today was the first run of our “new” clay mixer. 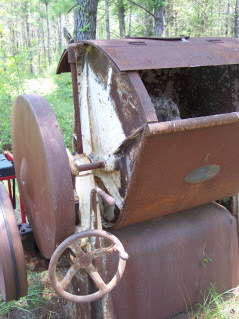 In the spirit of recycling, the mixer is a converted 1915 dough mixer from an old bakery. As you can see here, its powered by the still useable motor portion of an old generator.